Do you ever feel as though you have a call on your life to become something great? Well, there’s a difference between where we want to be and where God is calling us. It could take many years of waiting in the desert to only find out what you were waiting for isn’t happening and sometimes for reasons in hindsight to be obvious to you now as you move along on your journey. Only God knows what is right for you and will place that special assignment in front of you and it’s only you that chooses to pursue it or….not. He calls you to that work with a desire to do it. God calls you for special work, at home or outside the home, whatever you are doing today is very important and is adding value to not only your life but to the lives of others .You could be taking care of someone or providing an income for a family, so wherever you are your presence is to share your life and help others right where you are placed. Yes, God calls us all of us and many times to small things that are right in front of us (to us they are small but to God they are significant) maybe it’s being there for someone as an ear for a troubled heart or to give some godly advise. God can use you to share what you know about Him (even if you aren’t the biblical scholar, He doesn’t expect that) to your family, friends or someone you don’t know. Listen God will always provide us with an opportunity to either brush someone off or look at it as a gift to be present and do His will in glorifying Him to others. Loosen your plan because -our plans are not God’s plans. His plan is to refine us for that moment when He calls you into that work He has groomed you for throughout your life until now. Placing amazing gifts inside of you to share. That’s a call. Are you looking for a Summer Study on Jesus? Have you ever wondered about Jesus, who He was and why He came to earth for us? I want to introduce you to a study guide that I have put together for anyone who may be searching for a deeper relationship and knowledge of Jesus. This is a study guide that takes a look at Jesus from Birth to Resurrection. 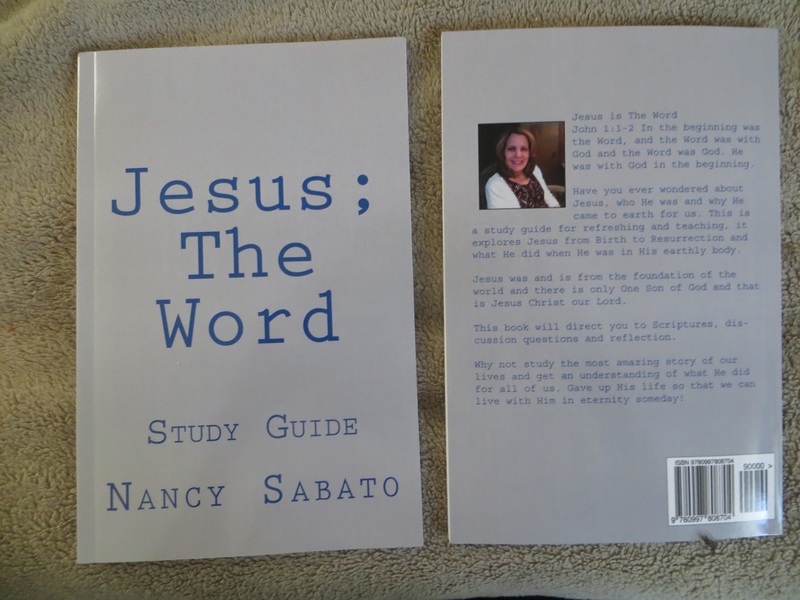 This Study guide is full of scriptures pointing to Jesus, there are discussion questions at the end of each chapter to help you take a deeper look at the one who saved your life! Why Would Peter Deny Jesus? In the Gospels, we read Jesus getting ready to be arrested when the conversation between Peter “the leader “of the disciples”, and Jesus, He were talking to the disciples quoting the prophecy of Zecariah 13:7 “You will all fall away”. Peter declares in Mark 14:29 “even if all fall away, I will not”. Clearly in this scripture Peter is in protection mode, he’s trying to protect his Lord, but do you think Peter was telling Jesus the real truth in his heart? How far will Peter go in giving up of himself for the Lord? Did Peter really love Jesus the way Jesus loved Peter? Did Peter deny his denial? Jesus knows the human heart quite well and what it’s capable of. In our flesh we are trying to preserve our lives, save ourselves from humiliation, harm and turn our conversations away from Christ. In our pride we may deny Him because of our earthly desire to please others and not look foolish. How many times do we deny Christ when things get rough? To deny Christ is to deny your own eternal life with Him. Are you like Peter when people persecute you for talking about Jesus? God has given us the capacity to love; we love our families, friends and some people we have come to know throughout our lives. When you are born of God (Born Again) we know in our hearts that Christ has given us the capacity to love one another as Christ loves us. We learn to overcome the selfish feelings of hurt that we know isn’t from God but from the one who is in the world (satan) and satan wants to separate us from people and will try in everyway possible to break up friendships, families and especially marriages that God has put together to glorify Him in this world. But sadly, there are people that turn from God and go their own way for a while finding things to fill the love they really are looking for, things or people of this world but in reality the only One that loves you and can fill you in ways that satisfying for the soul is God and His love, it really cannot be measured because it’s so big it cannot be contained. And we are chosen and set apart for Him to do good works in this world such as loving others as He loves us. So set aside the things that you desperately want to obtain and look deeply towards the One that has deep love and compassion for you. You have been chosen to walk with Him and do love others as He has called you to do, being called is a privilege not a burden, so walk with Him and love the ones that at times can be unlovable because we know Christ loves them too. Who Is The Great Influencer In Your Life? There are many people in this world that influence your; life, first it’s your parents or caregivers, maybe it’s a sibling or close relative. It could be someone you look up to like a popular Movie Star or public speaker, maybe a motivator. All these people influence our lives on a daily basis. We want to be like them or look like them, people we probably want to look like or be. That could most likely how our lives get shaped. As you get older you’ve learned and grown and that person is no longer influencing your life so much any more. Maybe that person changed or did something you didn’t agree with, then they become less in your mind and the search continues! I remember for years listening to a popular speaker his motivational style was quite amazing to me. He was the type of guy who would say ”no limits” – the walk through fire type. I have to admit I used to hang onto every word because I thought he was opening my mind to endless possibilities. I was putting my trust in his philosophy and motivation. I even had my brother listening to his audio tracks. As I grew older I realized that not everything he said worked for me, this person didn’t know me or my thoughts and furthermore I felt as though his motivation was selling more of his books and programs than pointing me to really knowing who it was that was truly the motivator. I’m not saying that the person that has opened your mind to possibilities is wrong but were they really guiding you to the one who created you? Goals and dreams are great to have, but who is the one that directs your path? Now I know there are people that are really doing great things in the world right now and we should always strive to do better in our lives but instead of looking up to them, why not look to who truly saved your soul? Who is the ultimate hero of your life? He will never fail us in times of need. That’s Christ who went to the cross for you and saved your life! So as you think about who has influenced you through your life and were they lasting? Were they there for you in every single aspect all the time? Christ will never leave you or forsake you, look to Him to be the great influencer in your life!